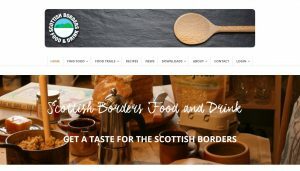 Last night saw the launch of a new immersive website and annual food and drink directory by the ever-expanding Scottish Borders Food and Drink Network. The launch was held at Carfraemill Hotel, and was attended by leading lights of the Borders food and drink world, including representatives from the Borders Distillery, Jarvis Pickle Pies and Windlestraw, as well as Scottish Borders Councillor for Business and Economic Development Mark Rowley. The Scottish Borders Food and Drink Network now has over 85 members, including both those who make food and drink and those who serve it in their hotels, restaurants and pubs.